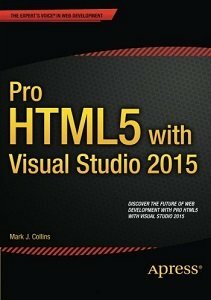 Pro HTML5 with Visual Studio 2015 is written to help ASP .NET developers make the leap to the inevitable and exciting world of HTML5. With this book, you’ll quickly master the new HTML elements, the improved CSS features, and advanced content including audio, video, canvas, SVG, and drag and drop capabilities. You will also learn how your enterprise applications can benefit from some brand-new technology such as web workers and web sockets. Using practical hands-on demonstrations you will learn all of the really cool features that you can start using now, within your existing ASP .NET applications. HTML5 promises to revolutionize the way web sites are developed with an impressive set of built-in client-side features. The use of HTML5 as a preferred development language in Windows 10, along with growing support from the major browser vendors, is likely to make HTML5 the de-facto standard for all future web development. The number of HTML5-capable phones alone is estimated to top 2 billion by 2016. Many professional web developers who are firmly rooted in the Microsoft toolset such as Visual Studio, Active Server Pages, and .NET are trying to understand how HTML5 fits into their world. With p5.js, you can think of your entire Web browser as your canvas for sketching with code! Learn programming the fun way--by sketching with interactive computer graphics! 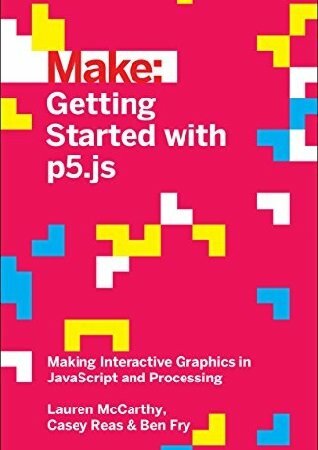 Getting Started with p5.js contains techniques that can be applied to creating games, animations, and interfaces.